The case against Knox was flawed and influenced by the media furore around the murder trial, the court said. 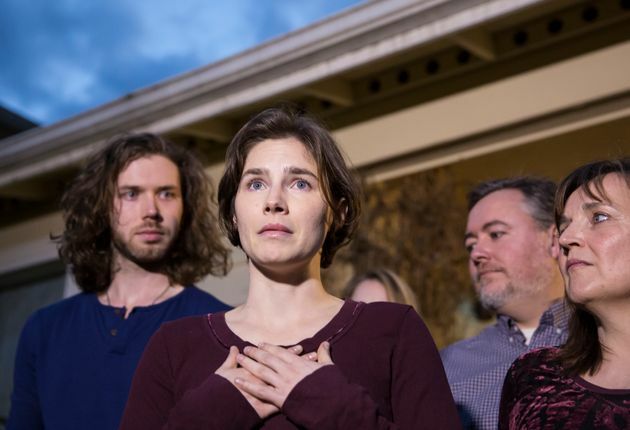 ROME (AP) — Italy’s top criminal court has scathingly faulted prosecutors for presenting a flawed and hastily constructed case against Amanda Knox and her former Italian boyfriend, saying Monday it threw out their convictions for the 2007 murder of her British roommate in part because there was no proof they were at the crime scene. The Court of Cassation issued its formal written explanation, as required by Italian law, for its March ruling vindicating the pair once and for all in the murder of Meredith Kercher, in the apartment the two women shared while students in Perugia, Italy. Media clamor also was a factor in what was ultimately a flawed case, the high court concluded. 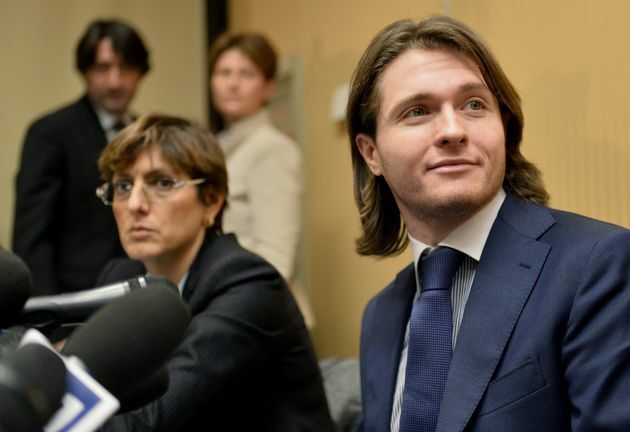 CREDIT: TIZIANA FABI VIA GETTY IMAGESRaffaele Sollecito (R) and his lawyer Giulia Bongiorno (L) deliver a press conference in Rome on March 30, 2015. The high court in March declared that Knox, now 28, and Sollecito, now 31, didn’t murder the 21-year-old Kercher, a stronger exoneration than merely finding there was insufficient evidence to convict. Had the Cassation Court upheld the 2014 appeals court convictions of the pair, Knox would have faced 28½ years in an Italian prison, assuming she would have been extradited from the United States, while Sollecito had faced 25 years. Knox and Sollecito had served nearly four years in Italian prison after a first, lower court conviction by a Perugia court. They had always proclaimed their innocence. A man from Ivory Coast, Rudy Hermann Guede, was convicted in separate proceedings and is serving a 16-year sentence. The Cassation Court’s written explanation is tantamount to a “great censure, a note of solemn censure of all the investigators,” a Knox defense lawyer, Carlo Dalla Vedova, told The AP. He said he hadn’t had time yet to telephone Knox in the United States. The Cassation panel of five judges essentially concluded that while there were indications Guede could have had accomplices, nothing in the prosecutors’ case proved that either Knox or Sollecito were involved in the murder. It also wrote that the lower court ignored expert testimony that “clearly demonstrated possible contamination” of evidence and misinterpreted findings about the knife allegedly used to slit Kercher’s throat, in what prosecutors had described as a sexual assault. 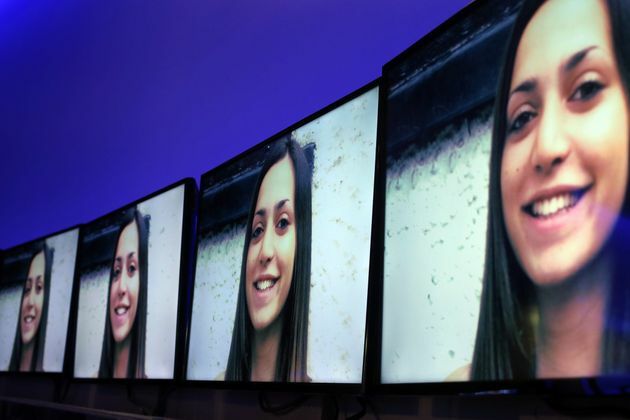 CREDIT: FRANCO ORIGLIA/GETTY IMAGESA picture of Meredith Kercher is displayed in Rome on March 31, 2015. Knox and Sollecito were first convicted by a Perugia court in 2009, then acquitted after a first appeals court trial. They were convicted again in 2014, after a separate Cassation Court panel overturned those acquittals and ordered the Florence appeals. While the flip-flop verdicts and appeals ran their course, Knox became a cause celebre in the United States, where many saw her as an innocent victim of a miscarriage of justice and sloppy investigative methods. Monday’s explanation effectively agreed with her supporters. The Cassation panel wrote that Knox did deserve her conviction and three-year sentence for slandering a Congolese-born Perugia pub owner whom she initially indicated as the murder suspect. The man had been jailed until an alibi led to his release. Because Knox served prison time for the initial murder conviction, she didn’t face prison when the slander conviction was upheld in March.